IT @UofSC. My musings are always for the lulz. Views and perspectives shared here are my own and may not represent those of my organization. I’ve been using smartphones since 2008. And more importantly, I just realized I’ve been purchasing smartphones the exact same way since 2008. 2008: Blackberry Pearl 8130. Purchased from Verizon Wireless. 2010: Motorola Droid. Purchased from a Verizon Wireless third-party retailer. 2012: Another iPhone 4 and iPhone 4S purchased from Verizon. 2013: iPhone 5. iPhone 5S. Both purchased from Verizon. Of course, this all meant signing 2-year contracts, dealing with activation and upgrade fees, the whole nine yards. A couple of weeks ago, I decided I had enough. It was time for me to leave Verizon Wireless for Straight Talk in promise of the same service for half the cost with no annual contracts (and yes, it’s been really good so far). From time to time, we all get strange dreams, but how often do we try to figure out the implications of these dreams? As the adage goes, if you’re dreaming about falling down an elevator, times are changing. If you’re dreaming of pleasant things or accomplishments, it represents security in your life. Yeah, security. Right. You would be right to label my life situation as such. But did you even stop to think why you did this? What makes this dream so implausible for you anyway, and why so intriguing for me? Razer’s Ongoing battle…with the Mac? Not too long ago, I reviewed what is quite possibly the world’s only backlit mechanical keyboard designed for the Mac, the BlackWidow Ultimate. It’s a great keyboard, even if it does cost more than an arm and a leg, and the fact it has that horrible glowing logo at the bottom, and….I could go on. But. 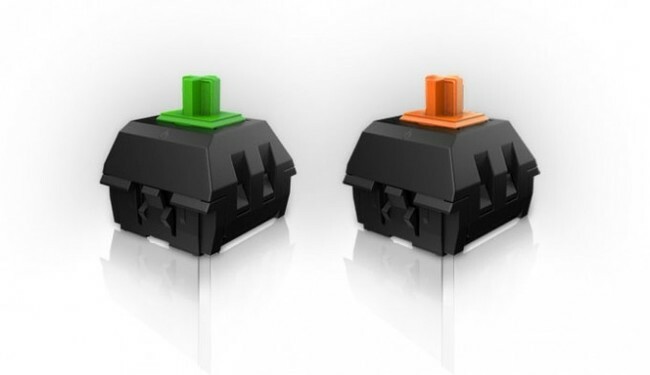 Razer just announced a “minor” update to BW Ultimate, and rather than change the appearance, Razer has rebuilt the architecture from the ground up with…tacky colored switches. I mean really, how much tackier can you get? There’s already a couple of product reviews on YouTube and scattered throughout the web, and most seem to appreciate the slight spec bump as far as responsiveness goes, and the new box art. Because that’s really all that has changed. This will be my new home for blogs and any material I have (if it’s possible to host this/link to). Getting rid of the old landing page because creating a bunch of stylesheets for mobile is a bit of work, even with Dreamweaver’s Fluid Grid option. 2/1/14: I just remembered about my Github page, so any technical related downloads can be found there. Otherwise, they’ll be hyperlinked accordingly.